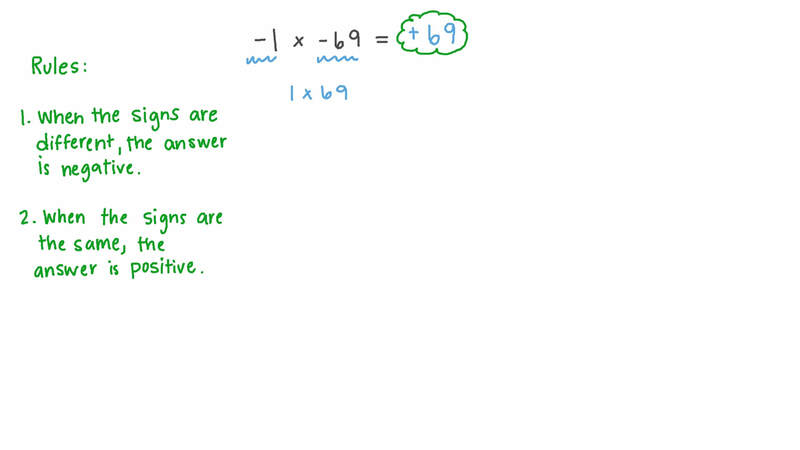 In this lesson, we will learn how to identify multiplication and how to apply it to real-life situations. 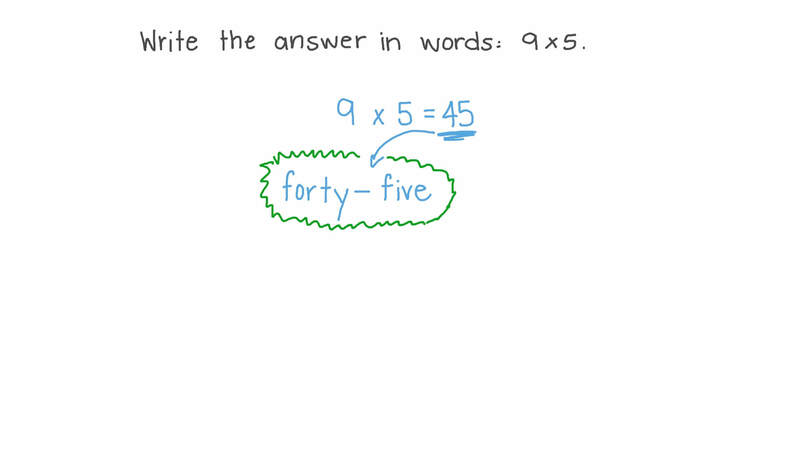 Write the answer in words: 9 × 5 . Calculate − 3 ( 7 ) ( 1 0 ) . Find the product of − 2 and 12. Fady has answered 9 questions in an exam. There are 6 times as many questions in the whole exam. Complete the equation to find how many questions there are in the exam. Write 9 × 2 in words. Which of the following expressions does NOT belong with the other three? Determine which of the following expressions has a product of − 2 4 . The product of two positive or two negative integers is a integer. The product of a negative and a positive integer is a integer. Simplify − 9 [ 1 5 − ( − 5 ) ] . − 2 × 6 = . − 9 × ( − 9 ) = . − 1 0 × − ( − 7 ) = . The product of two positive integers or two negative integers is a integer. The product of a negative integer and a positive integer is a integer. If the temperature drops 1 0 ∘ C for every 1 0 0 0 -meter increase in elevation. Write a multiplication expression to represent the decrease in temperature at the top of a mountain of 4 000 meters, and then solve it. Find three different pairs of integers, where each pair has a product of − 2 4 . If a given number is divided by − 9 and then again by − 7 , it gives a result. Which integer would the original number be divided by to give the same result? Determine the sign of the product of 12, 3, and − 1 0 .